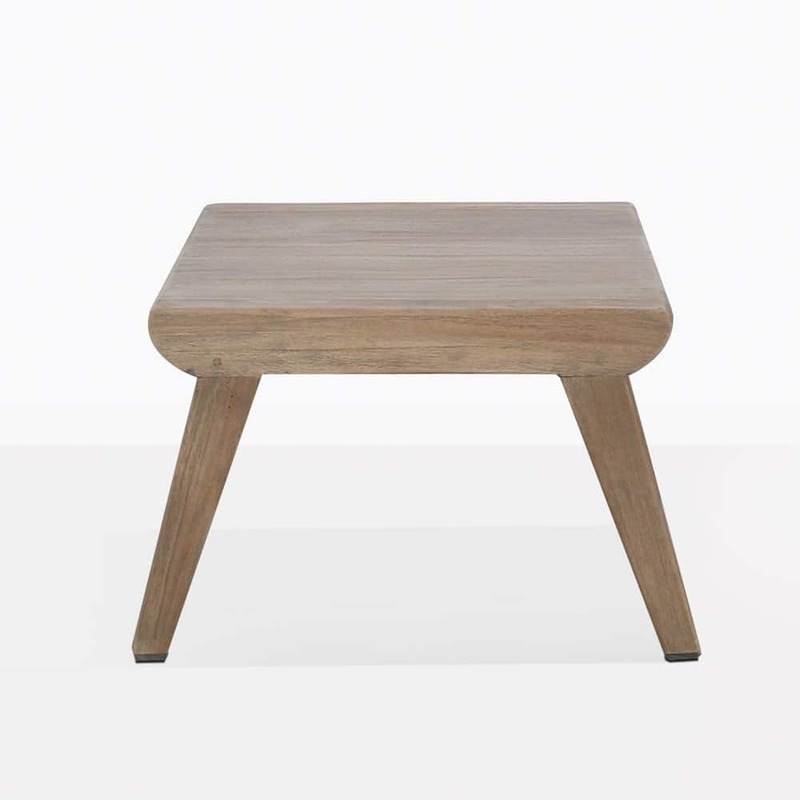 Unique, stylish, simple and contemporary, the Gazzoni Grey Teak Side Table is an excellent piece to compliment and define your space! A stunning side table that offers up so much in terms of incorporating into a space with versatility and panache, the Gazzoni Teak Side Table is a part of a very special collection. Gazzoni is all about European stylings with slight angles and extraordinary details. The sectional collection includes a divine Corner Chair and the the Gazzoni Centre piece, enabling you to make a comforting, chic and luxurious setting depending on your spacial requirements and what you wish to achieve. We also carry the Gazzoni Dining Stool, a superb unique teak side stool perfect for carrying off that simple, minimalist style we know and love. The Gazzoni Grey Teak Accent Table is ideal for finishing off that sectional collection or placing alongside a club chair, or even indoors. This is a perfect style you’ll love having in your space! Set up your Gazonni Deep Seating Collection in full glory, with the use of the Corners and Centre pieces to create a welcoming C shape that invites your friends into a haven of stylish comfort. Finish off the look with the Gazzoni Side Table at each juncture – ideal for sitting down drinks, delicious snacks and candles… the perfect look for relaxing in premium luxury. This excellent side table also looks great on either end of your indoor sofa. A charming and chic look to contribute to a spacious and refined setting. Design Warehouse are proud to be leaders in luxury outdoor furniture – we have everything you need to bask in comfort and style in the security of your surroundings. 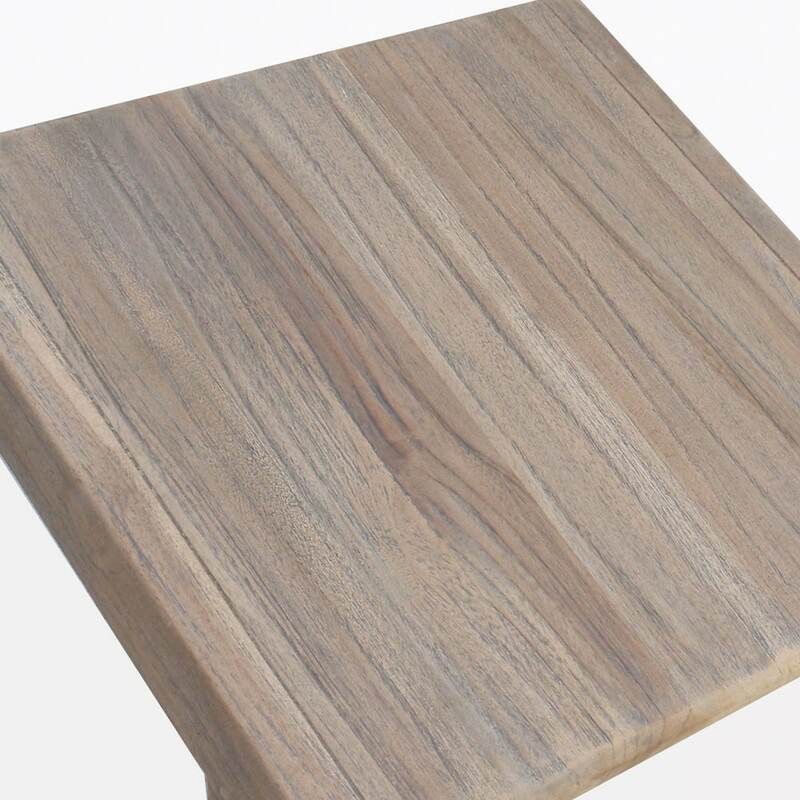 From accent tables, to deep seating, dining, shading and more, you’ll be thrilled with the variety of top quality products at wholesale prices! What are you waiting for? 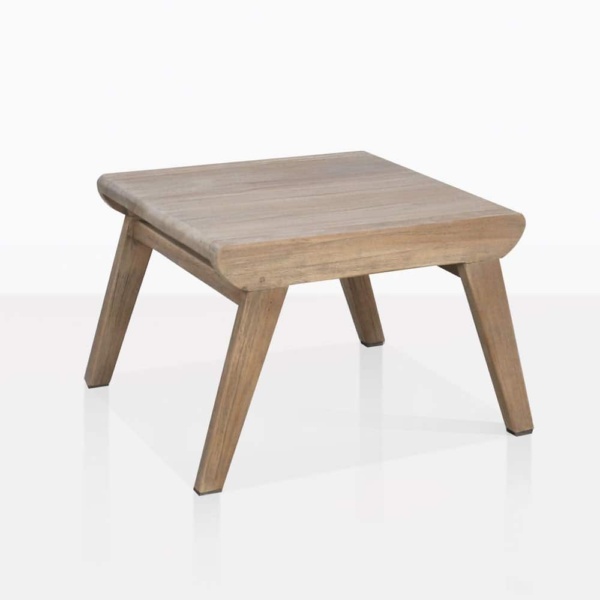 Order your Gazonni Grey Teak Side Table now, and polish off your space with perfection!